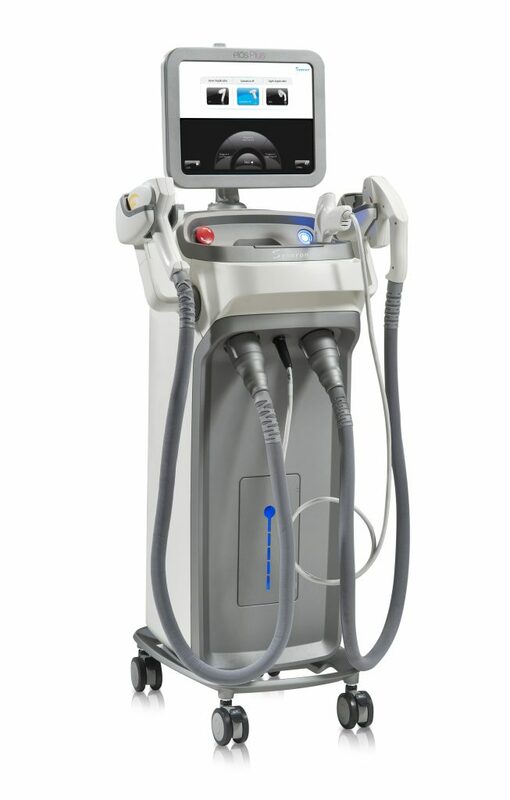 This procedure utilizes a diode laser by Diomed for the non-invasive office based treatment of varicose veins. In the past, a hospital surgical procedure was needed to treat reflux of the large vein in the groin responsible for varicose veins. Now, often in under an hour, the vein can be treated with a laser attached to a fibre which is inserted into the vein near the knee. It is threaded to the correct location to remove the affected vein. The patient can walk immediately after the procedure, and there is usually minimal down time. 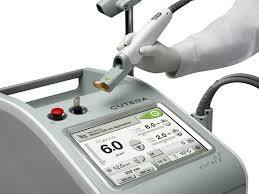 Excel V- Uses a long pulsed YAG laser to gently heat the dermis, or under layer of the skin, in a controlled manner. 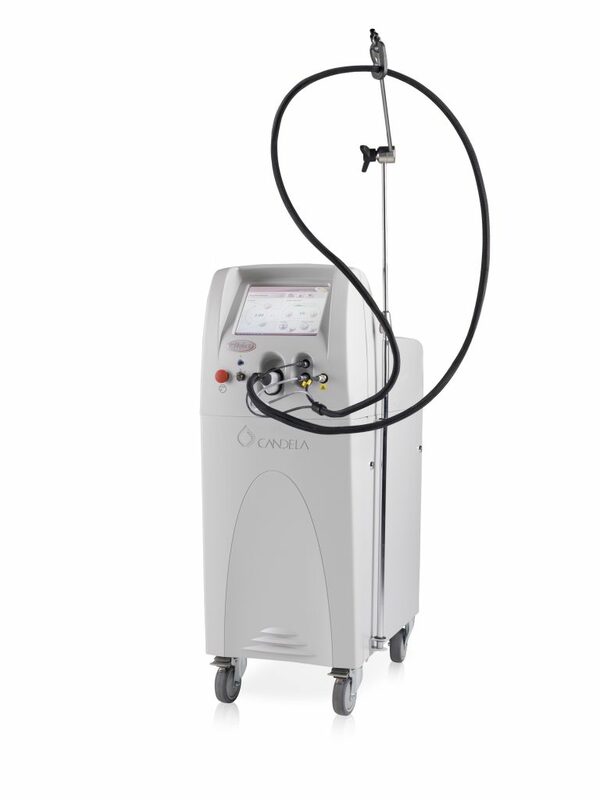 This laser improves collagen production, reduces pore size, reduces facial redness. The results are improved skin, tone, texture and color. This is a non-invasive treatment with minimal to no down time. IPL treatments have been available for several years, but have become more refined, objective, and more predictable in results. We utilize the Syneron IPL device which combines different broadband ranges of light with radiofrequency. It has an active monitoring system for skin temperature allowing for safer treatments even at higher light intensity. 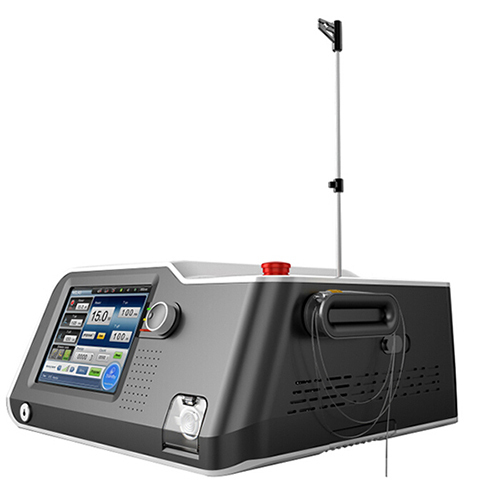 The Pulsed Dye Laser is designed to selectively destroy small blood vessels of the under layer (dermis) of skin without damaging the surrounding healthy tissue or outer layer of skin (epidermis). It uses an intense pulse of yellow light, which is absorbed in the red of blood vessels. Lasers can be safely used during pregnancy, and do not cause cancer. We have the latest version of the Dye laser (V-Beam), which displays some marked advantages over previous technology, such as rapid treatments for skin rejuvenation and flushing without bruising.